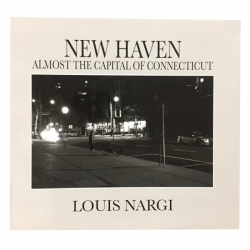 "In the sequence of photographs that follows, Lou Nargi looks into the soul of New Haven. Instead of accumulating yet another collection of representations of familiar landmarks, he has lovingly portrayed more intimate facets of the city and some of its inhabitants as they go about their business. Each photograph draws one in with its rich texture and dynamic, dramatic composition. We witness fleeting moments - a glance into the lives of train passengers as we wonder what they were thinking at that passing instant and whether any of them would remember that ride, as well as scenes of a timeless quality - the Forbes Diner portrayed with its diner deco interior could exist as easily today as in 1950. We also see juxtapositions of an active sky against more earthy matters; in one photograph, trucks rumble by under churning cloud; in another, the city spreads out in an atmospheric panorama. Lou's black-and-white photographs invite wonder and involvement and are a joy to behold. I think you will treasure them as much as I have." 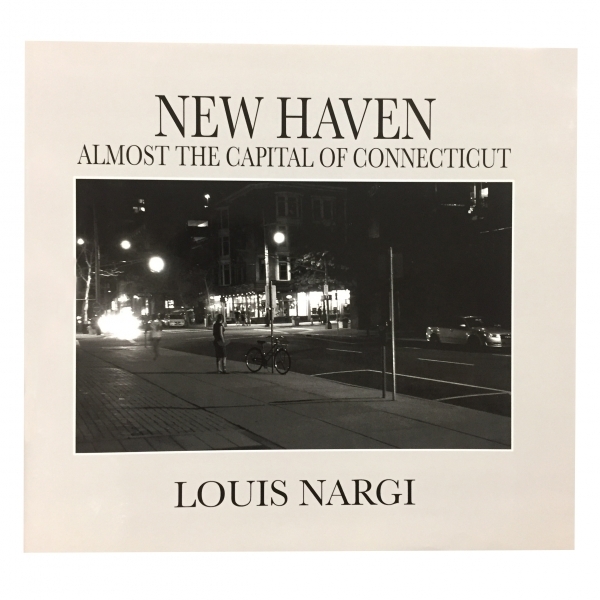 This book includes descriptions of the film cameras and lenses Nargi used when creating this book. Louis Nargi's first camera was an Ansco Cadet his father bought him because he was sick, Louis was six years old. Even then he felt an interest in taking pictures. While in the Navy on board the U.S.S Sampson he bought his first 35mm camera and started to photograph more seriously. After the Navy he and his father built a darkroom in the basement of his parents house and started to develop his negatives and prints. Largely self taught he feels he had help. His father was a photographer in his own right and taught him to develop prints and mix chemicals. Louis also studied with Bruce Barnbaum.